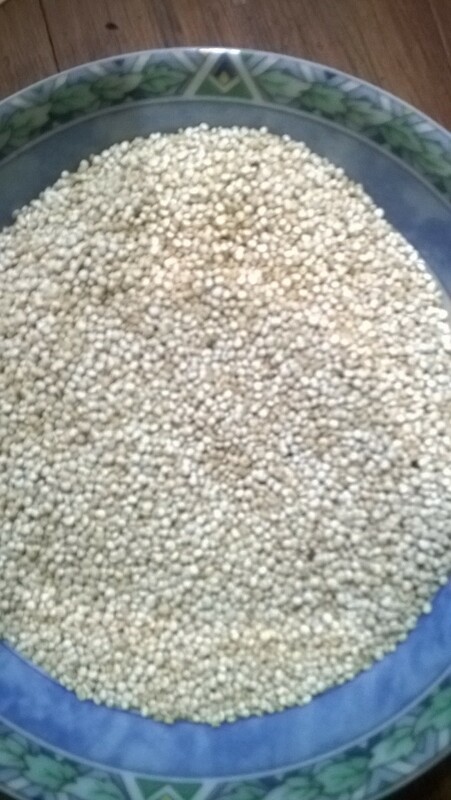 Quinoa came to my attention years ago, as a great alternative to white rice and pasta’s. Since then a new “old’ grain seems to pop up every few months and become really popular. In the last year I’ve tried Millet, Amaranth, Freekeh and Farro, and all are introduced as the next best thing with a lot of great information about their ancient history and health benefits. It’s pretty remarkable really that we’ve ignored these grains for such a long time. I must say I do like it all, as I love variance, especially knowing that they come with some great vitamins and minerals. Quinoa is probably still my favorite, closely followed by Freekeh. I use Quinoa hot like a risotto, cooked with herbs in a good veggie stock, mushrooms, onion, cherry tomatoes and some grated cheddar. Or just as a side dish to a nice spicy sauce. Tonight it was a prawn and smoked salmon salad, with some quickly seared Kale, mushrooms, onions and ricotta. Later this week, i might mix it with some freekeh and make a moroccan stew, with lots of spices like cumin, coriander, cinnamon and smoked paprika. Have you discovered any new old grains lately?